There are plenty of things about ancient Rome that I'm very happy didn't make it into the modern era. Slavery, for example, or the mass slaughter of animals and people for public entertainment. But there are some things about ancient Rome that I wish had stuck around, and top on that list is Roman-style marriage and divorce. This was a topic I spent a lot of time researching for my second novel Daughters of Rome. 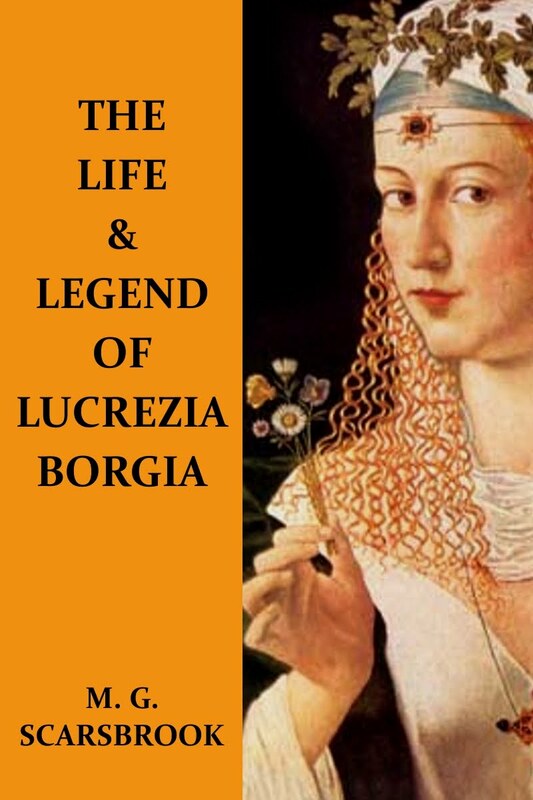 One of my heroines just happens to be the richest heiress in Rome (her grandfather is the ancient world equivalent of Warren Buffet) and her dowry is a prize that gets passed to a new husband every time there is a power change. Since Daughters of Rome takes place during the Year of Four Emperors, my poor heroine manages to clock up a total of five husbands by the age of twenty – and three of those weddings in the same year. She's pretty tired of weddings by the end of the book, and I can't blame her. But at least Roman weddings were more interesting than 21st century ones. Roman wedding vows were simple; a recitation that began “Where you are Gaius, I am Gaia.” Much better than these dreadful personalized vows that start with “You are the rock in my stormy sea” and only get worse. The priest follows up with a sacrifice for good luck, a sow or maybe a goose. I'm not really in favor of dead animals, but at least it wouldn't put me to sleep the way the inevitable reading from Corinthians does. And after the wedding banquet, the bride gets to light the fire in her new home for the first time – and toss the wedding torch to the unmarried girls in the crowd; the one who catches it will be the next bride. If you're the bride and you want to really nail that one slacker bridesmaid, I'm betting you could do a lot more damage throwing a torch at her than a bouquet. And we have a lot to learn from the Romans when it comes to divorce. In the modern era, divorce is expensive, painful, time-consuming, and exhausting. It involves not just emotional pain but legal offices, arbitrations, courtrooms, and the expensive services of someone sleazy named Sid who is trying to screw the biggest alimony payments possible out of your ex, whose sleazy lawyer Gino is trying to get full custody away from you. Divorce Roman-style was much easier: either husband or wife announced that they no longer wanted to be married, and moved out. You didn't even have to announce this to your spouse; more than one husband came home to an empty house with a note on the table: “Goodbye, thanks for the memories, and by the way I'll be sending a slave next week for the rest of my things.” You could also dissolve your marriage by marrying somebody else: if your husband came home to the news “Actually, he's my husband now” then there was nothing he could do about it. 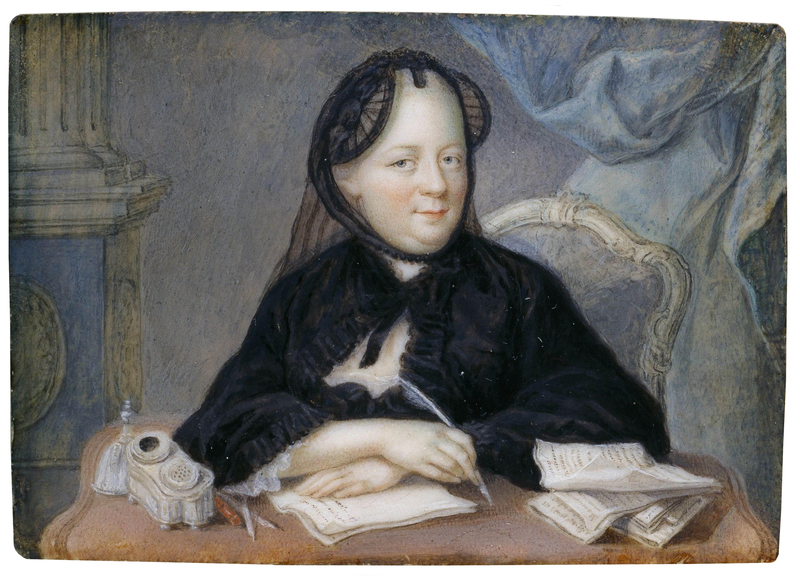 The law reasoned, with a certain simplicity, that if she married somebody else then she was no longer married to you, and that's an end to it. All he could do was fume – and give back, as also required by law, at least a portion of your dowry. There were some down sides to this custom. Divorce and remarriage was so casual that even an average nobleman might go through five or six wives in the course of his lifetime. “Sanctity of marriage” was not an idea with much weight in ancient Rome; a rich girl like my heroine in Daughters of Rome could easily have three weddings in one year, each husband divorced in turn for a better option when power changed hands. But even if I did put the poor girl through three weddings, at least she didn't have to deal with subpoenas, alimony arbitration, custody battles, or anybody named Sid. A world where divorce is easy and divorce lawyers are non-existent? I'm for it. I'm sure Katherine of Aragon, Anne Boleyn, Catherine Howard, and Empress Josephine would agree with me. I got married myself in the middle of writing this book, and a few Roman customs leaked over into my wedding. Nobody sacrificed a goat, and sadly I wasn't able to find a gladiator's spearhead to part my hair. But my husband and I exchanged iron rings instead of gold – Romans picked iron because it was enduring, considered a better symbol for the coming marriage than soft malleable gold. WOW! Thank you so much Kate Quinn!! 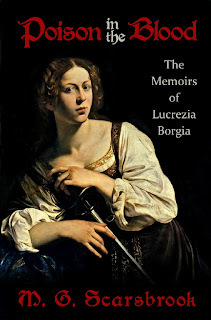 Penguin Group USA is giving away 1 copy of DAUGHTERS OF ROME to one of my lucky followers. Thank you!! Kate Quinn is on her way to becoming the best ‘All-That's-Ancient-Rome’ historical fiction writer ever. I loved reading her first book: Mistress of Rome - never read anything like it before-Fabulous (read that review here). 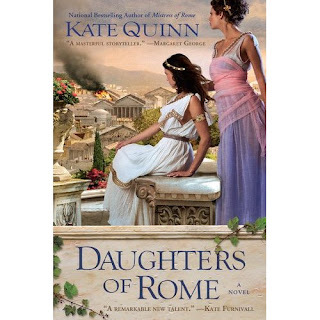 In this year’s novel, Daughters of Rome , Quinn brings us into the lives of the four 'Cornelias'. 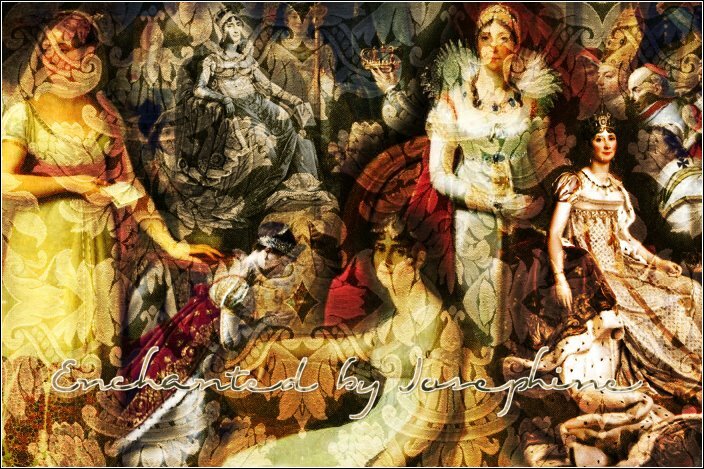 Patrician nobility at its best, the young women take us through a roller coaster of emotions as they live in splendour, grandeur as well as gruesome tragedy. Such young lives (the eldest is only in her early twenties! ), yet the ‘Cornelias’ manage to master charioting, espionage, perpetual weddings and divorces, enthronements and coup d’etats- not to mention clandestine loves and rendez-vous...hmmm, all that within the governance of four emperors! 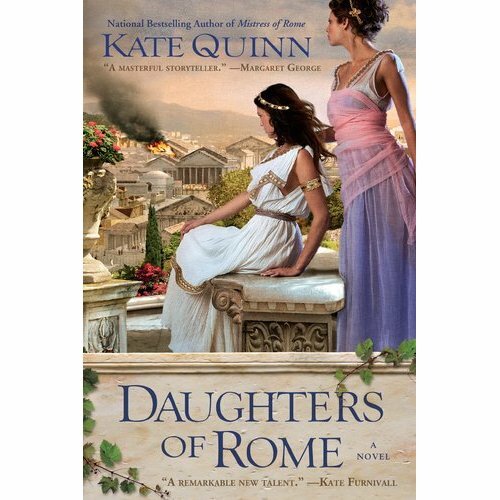 Quinn’s knack for crafting exciting novels on ancient Rome and making them the most fascinating read has to do with more than just her captivating characters but also with her detailed surroundings. I’m not talking about boring laid out sceneries- No- I’m talking about serving up a whole Roman feast to describe events that took place. For example, Daughters of Rome includes detailed menus that only an expert in Roman times can tell you about. Loads and loads of unimaginable delicacies of the finest cuisine were served (some of it certainly objectionable by our times!). Not only does this bring the mood to the setting; it also brings in the attitude and way of living of the ancient nobility. It also gives a flair of how this all adjusted depending on the Emperor in power. Food and feasts are not all that are being lived through this novel. In Daughters of Rome we experience the Chariot races as well as blood baths and slayings. I could not however have survived a book filled only with these. In fact, these vivid scenes were but the setting in which the heroines were immersed. What I loved most about this book was the growth and change the Cornelias themselves experienced. They lived a full-circle life that brought them to a turnabout construed by their own will and determination; sometimes to their own demise. Not all was a ‘happily ever after’. What can I say... if you’re going to read about Ancient Rome, you want absolute beauty and abundance to parallel the most decadent and horrid. 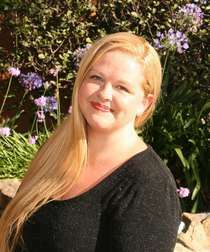 Kate Quinn is master at creating this by truly bringing ancient history back to life and absorbing you right into it. 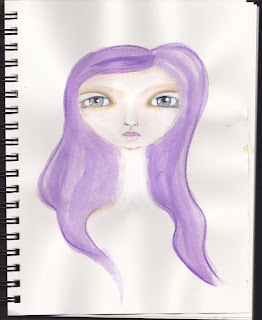 Note: Please be back tomorrow for Kate's amazing Guest Post Plus Giveaway! She is finally done! Been so busy- I just haven't had time to post this. 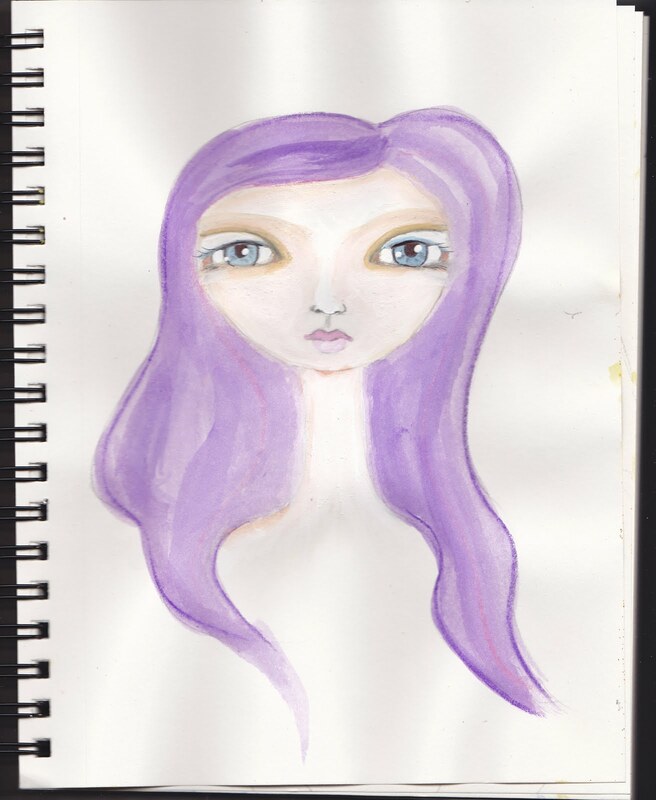 I love the way she turned out- I think purple hair is just fabulous for this type of whimsical princess. This is what I began with..
And not too long ago, I finished Light On Lucrezia by Jean Plaidy (See my review here)- An excellent book, by the way. Fun Filled Events not to be missed!! !